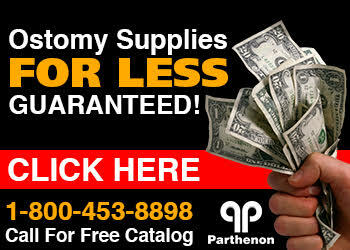 The Parthenon Company Blog - Specialists in Wound and Ostomy Supplies: Ostomy Medical Supplies For Less! Celebrating 50 Years at The Parthenon Company Inc.
Ostomy Medical Supplies For Less! Celebrating 50 Years at The Parthenon Company Inc. The Parthenon Company parthenoninc.com is excited to celebrate its 50th year anniversary in 2011! The manufacturer and supplier of discount ostomy products, urologicals, and wound care dressings has been serving its customers since 1961. Originally started by a team of three pharmacists, Parthenon is now one of the longest running family owned/operated mail order companies of ostomy products! Parthenoninc.com specializes in all products related to the ostomy world as well as wound and urologicals and can help you solve problems and learn more about the colostomy bag, other pouching appliances, wafers and other accessories from Coloplast, ConvaTec, Hollister, and Nu-Hope. Feel free to visit our website as listed above or call us toll free at 1-800-453-8898. "Ostomy brands you know and trust -- Delivered to your door!"